In the family so many years! This little ½ ton spent most of its life in North Carolina where it was first used on a farm and did the required hauling duties. Now owned by Stephen Caudill of Wichita Kansas about 6 months ago. He purchased it from a family member in North Carolina after the immediate owner had passed away. 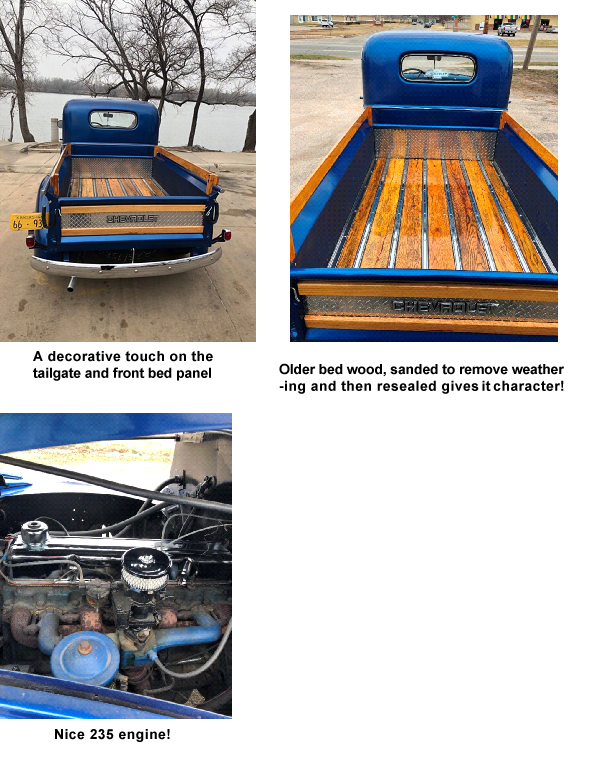 Stephen has since done several requirements such as all new wiring, a major break overhaul, and a modern electric wiper motor. The bed wood was removed and refurbished to look new and then sealed. Over the years the original 216 engine has been replaced with an updated 235 six cylinder. Nice easy replacement. The original 4.11 ring and pinion remains and holds this ½ ton to about 55 MPH. It also has the same factory non-synchronize 4-speed it had during its beginning years on the farm. To give his truck a little extra, he has placed the name “Bird’s 46 Chevy” on the grill. This is because his nickname is Big Bird. Note the 15’’ wheels. They are from a 1937-41 Chevy ¾ ton when those heavier pick-up, still had 6 bolt wheels. Nice touch! They’re are very popular and difficult to find. 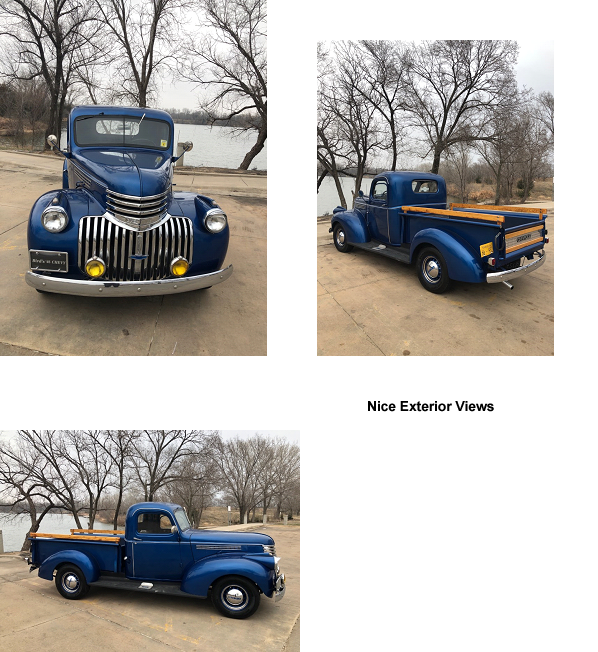 Stephen regularly drives this 1946 in the Wichita area. Very dependable as it was when it came from the dealership over 70 years ago. 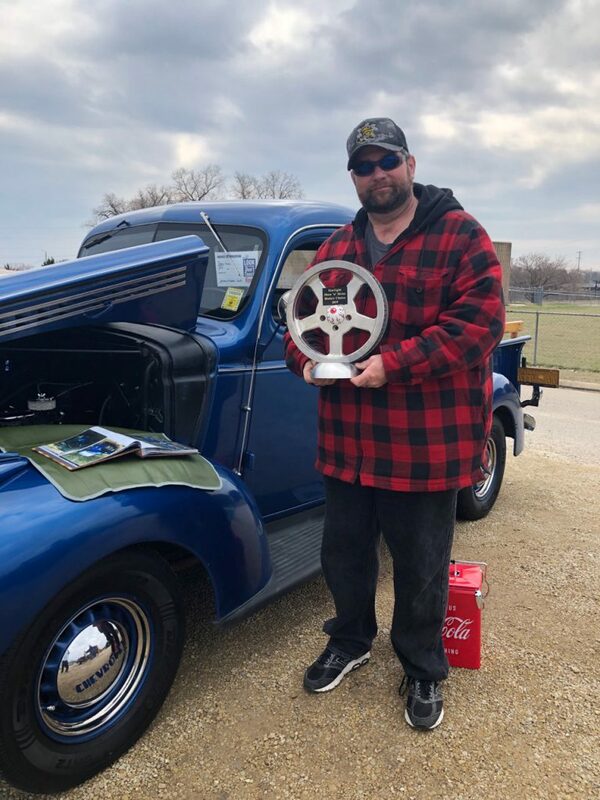 In Mid-March 2019 Stephen entered his ’46 ½ ton in a car and truck show in his home town of Wichita, Kansas. 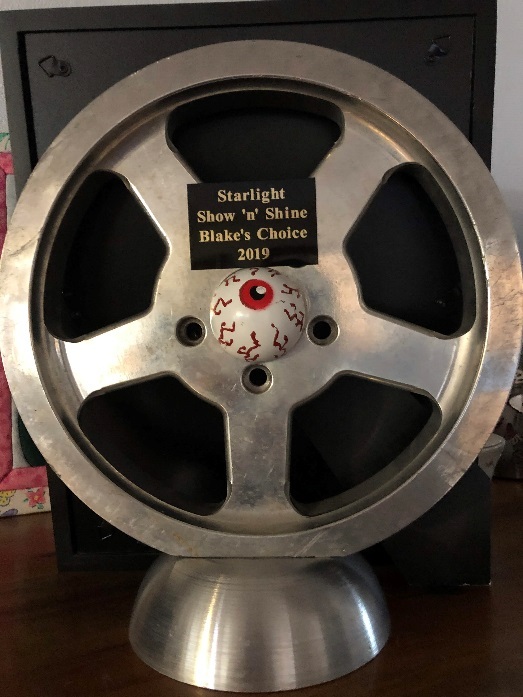 He took home the “Owners Choice” award. The public certainly were impressed with the special pick-up. 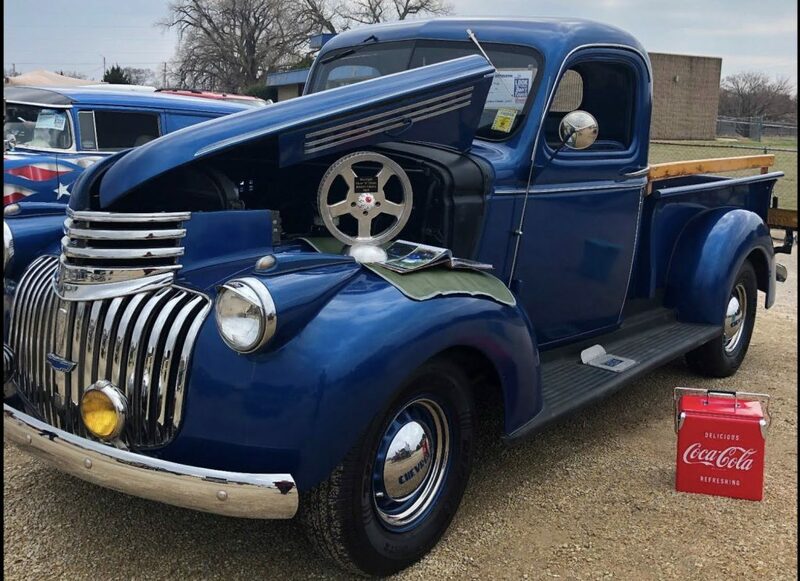 This entry was posted on Wednesday, April 3rd, 2019 at 7:59 am	and is filed under Featured Trucks [unsorted]. You can follow any responses to this entry through the RSS 2.0 feed. Both comments and pings are currently closed.